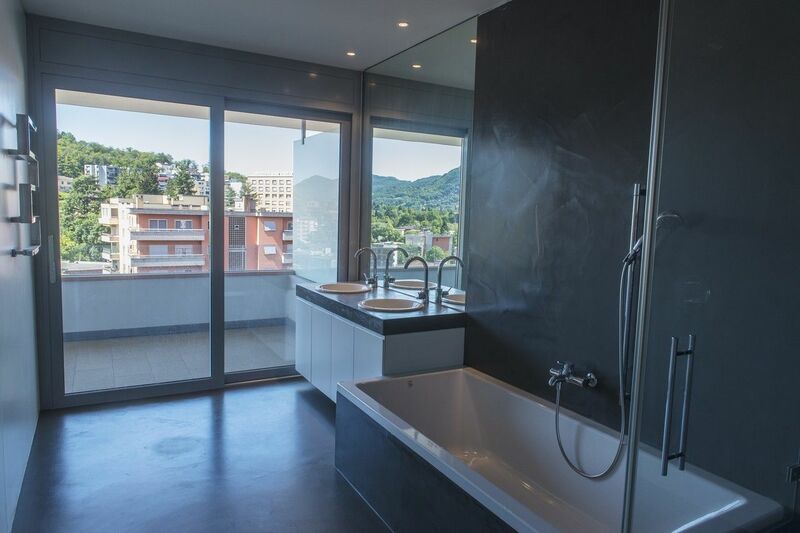 This penthouse apartment was recently built and is located at a stone’s throw from Lugano city centre, on the sixth floor of an apartment block of high design and finish. It offers exclusive living comfort and luxury interiors. The apartment is surrounded by a 100 sq. 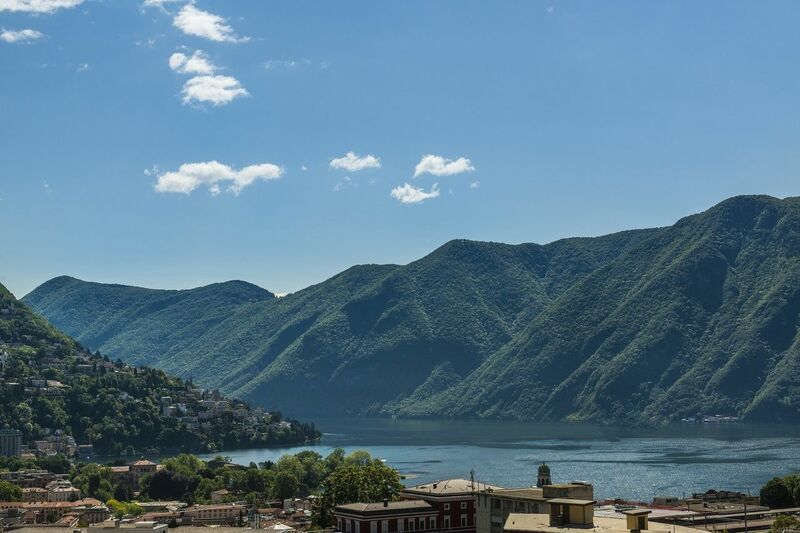 m. terrace which offers stunning panoramic views of the lake and the city underneath. an entrance hall, a guest bathroom, a separate kitchen, a large living/dining room, a study/library, two bedrooms, a bathroom with shower, a master bedroom with wardrobe and an en-suite bathroom with separate toilet, shower, bath and sauna. Each room is equipped with independent heating. 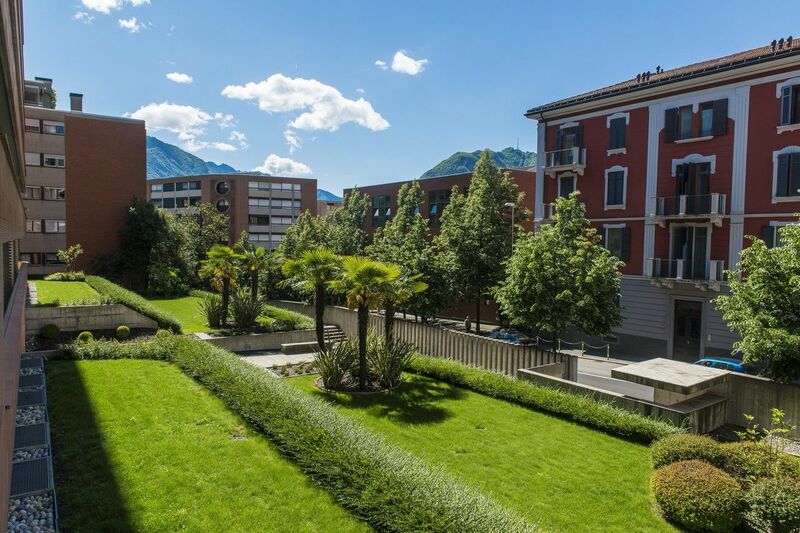 Three large parking spaces in the garage (CHF 150,000.00) and a cellar are also available. There is a bus stop on the door-step with busses to the city centre running every 10 minutes. All other facilities can be easily reached on foot.